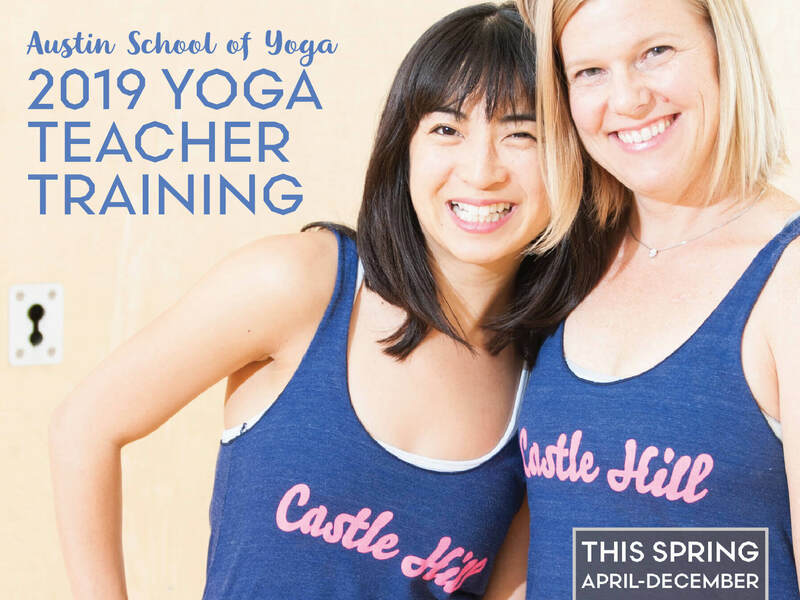 AUSTIN SCHOOL OF YOGA - 200-HOUR TEACHER TRAINING IS HERE! Join Ashley Cheng and Tracey Silverman for a 200-hour Yoga Alliance-certified teacher training designed with the cornerstones of self-care, awareness, curiosity, and compassion to discover your own voice, whether or not you plan to teach. We meet 9 weekends, once a month for an exquisite combination of yoga, personal development processes, embodied anatomy, and empowering teaching methods. Meet one weekend a month. Saturdays and Sundays, 9am-7pm. Save $300 when you sign up before April 1, 2019. Total training cost = $3,500 payment plan option or $3,200 paid in full. Refunds: We will give a refund minus the non-refundable deposit for cancellations 2 weeks or more in advance. No refunds will be given for no shows. Castle Hill Fitness reserves the right to cancel programs at anytime to which we offer full refunds. Attendance: 100% is required with no make up dates. Our training is based on our heritage in Forrest Yoga, Yoga Tune Up®, Yoga Therapy and Alignment-based Vinyasa. We have curated what we love best of these practices and adapted it to our own unique style.